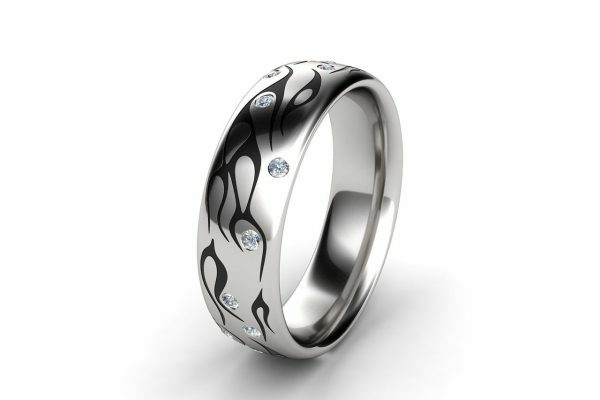 A unique enamel diamond wedding ring made in Melbourne. 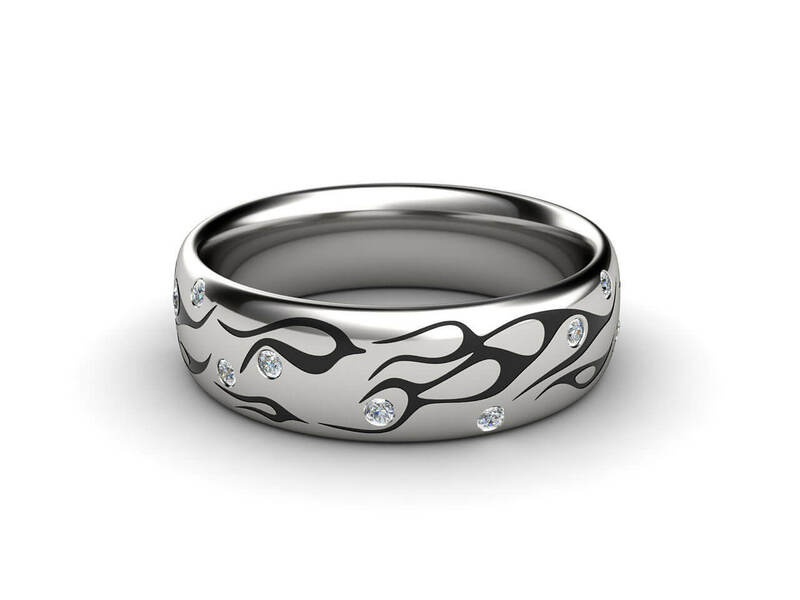 This wedding band is beautifully made with the finest metals of white or yellow gold or platinum. 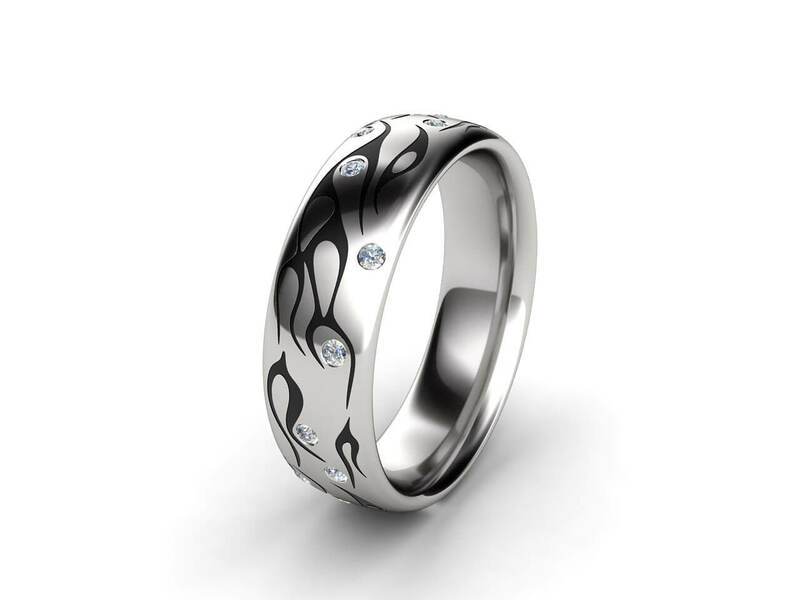 Enamel detailing and scattered diamonds adds a modern twist to a traditional wedding ring.